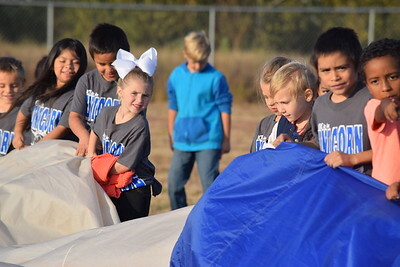 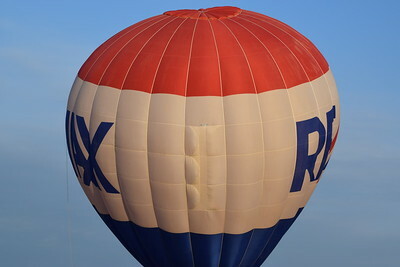 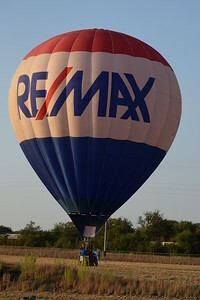 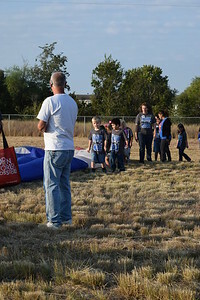 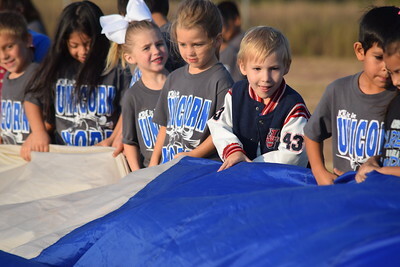 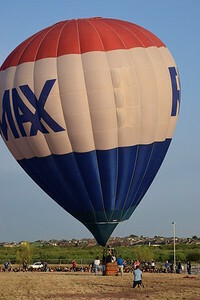 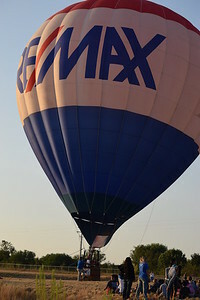 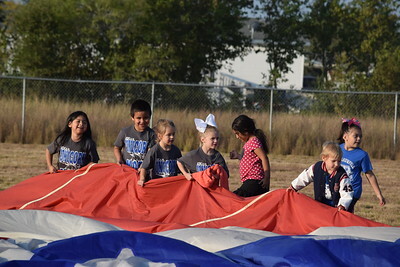 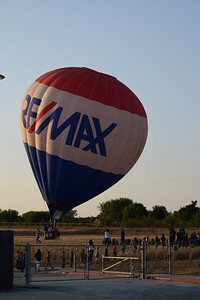 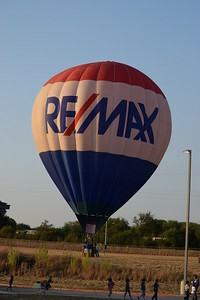 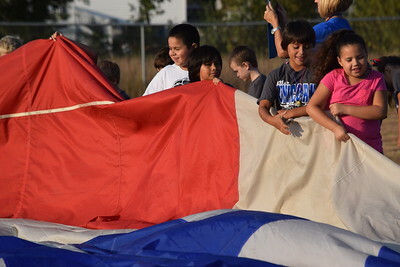 On the morning of October 2, 2015 after a year of planning and weather related delays the ReMax hot air balloon was aired up on the campus of Klein Road Elementary for a brief history and science lesson on hot air balloons. 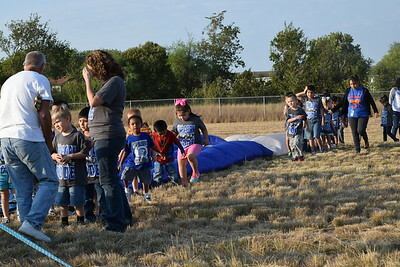 The students of KRE file out onto the back field area to watch the hot air balloon presentation amid shrieks of joy and excitement. 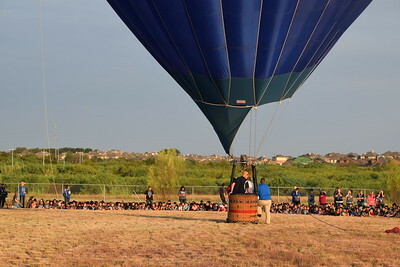 As the wind picked up Principal Russell had to help in anchoring of the balloon to keep it from swaying. 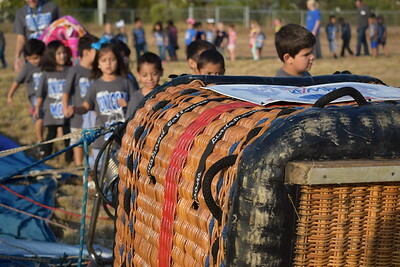 The students were taught that balloon, just like planes, have identification numbers on them. 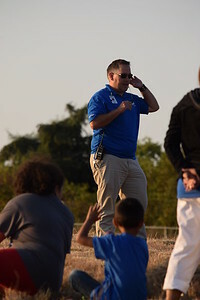 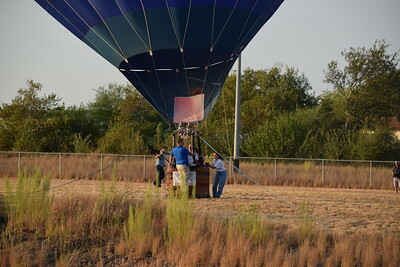 Chris Salazar of the NBISD Communications Department shoots video of the balloon. 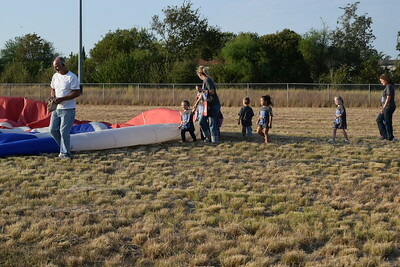 To deflate the balloon, the children learned that there are ballast at the top that are slowly opened. 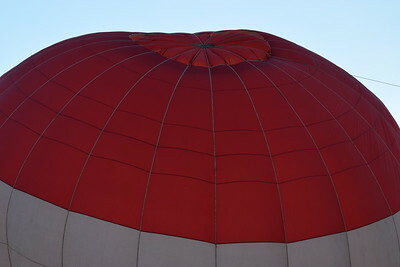 This shows the balast in the closed position. 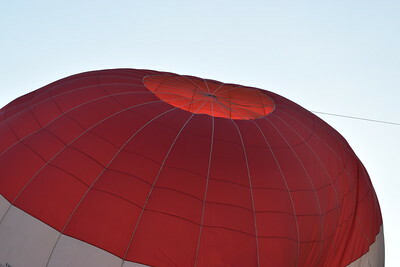 Here the ballast are lowering allowing the air out of the balloon. 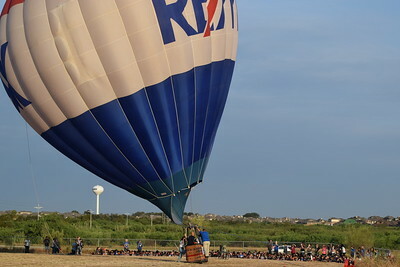 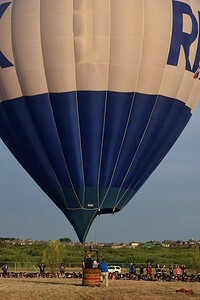 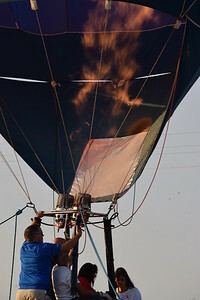 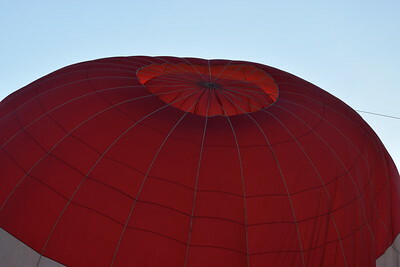 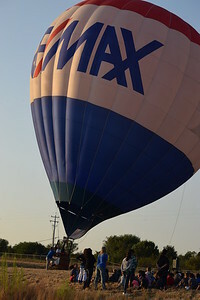 This picture shows the ballast fully open to deflate the balloon. 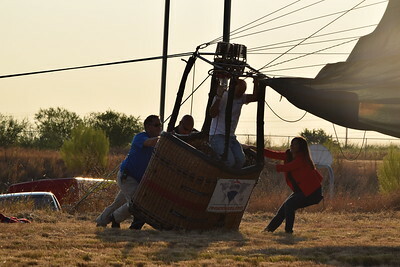 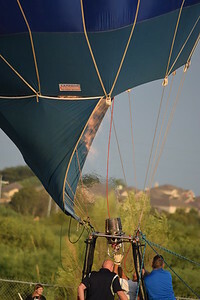 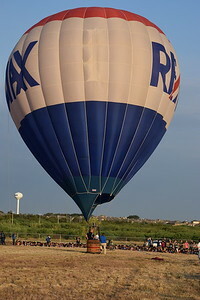 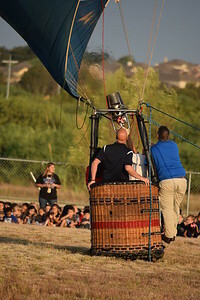 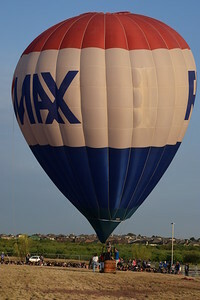 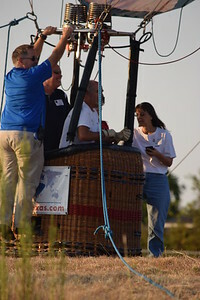 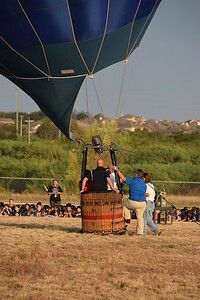 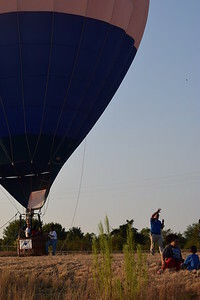 Once the ballast are fully open and the balloon starts loosing air, the basket is tipped over onto its side. 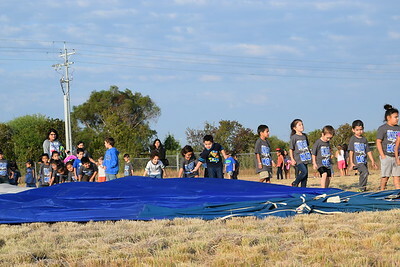 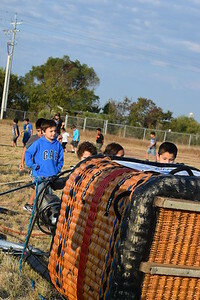 Once the balloon was fully deflated, the students were allowed to walk the length of the deflated balloon and feel the material and basket.